I’m finally ready to take the plunge and E-Publish some of my fiction. I’ve been pursuing traditional publishing for some time now, and with some of my longer works of fiction, I’ll continue to pursue that route, but for some select short works, I’m ready to roll up my digital sleeves and do it myself. 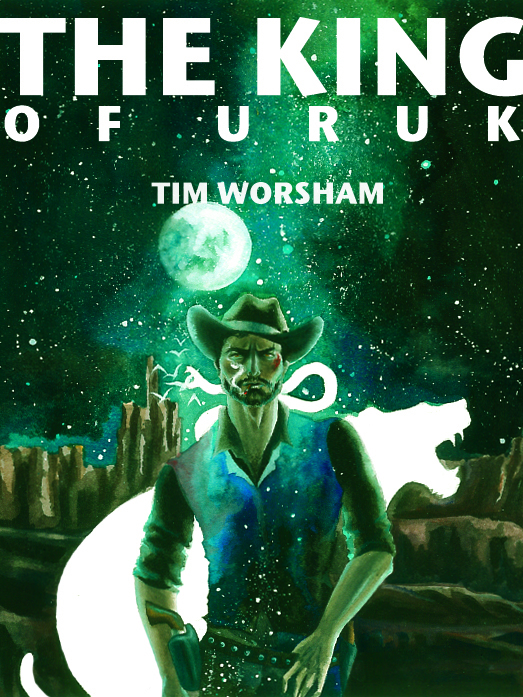 This first release is called The King of Uruk. It’s a Fantasy Western novella based on The Epic of Gilgamesh. I’ll post a few more times before it’s out, but I wanted to post a picture of the finished cover. N. S. David is the artist. She has a unique style with water color, really rich beautiful colors. It’s been great working with her, and I look forward to a few more titles with her work gracing the cover. I’ll post again soon, and be sure to get details out there on how you can get a copy.